Hammerhead sharks love to swim in warmer waters along the coast, so it's no wonder that this one also loves riding the waves! 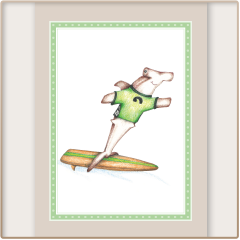 Bring home some tropical fun with a pack of unique hammerhead shark notecards. Cowabunga!